English Courses in England – What is Available? As can be expected the UK has more English language courses than anywhere in the world. No matter what you level there is a course for you. The selection ranges from beginners through to advanced, business and academic or vocational use. Most English language courses in the UK do not have academic entry requirements, so there really is nothing to stop you from studying English in the UK. So exactly what English language courses are available? General English Courses: These courses are available at all levels and are aimed at improving general day-to-day English. You will work on grammar, vocabulary and colloquial English, focusing primarily on speaking, pronunciation and listening allowing you to achieve greater English fluency. 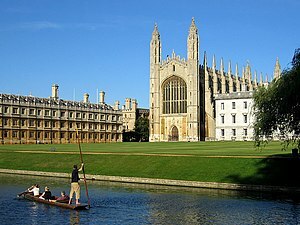 English for Academic Purposes: These courses are designed for students who are enrolled on university courses in the UK. They help students develop the language skills necessary to take notes, write essays, and understand academic journals. Some courses will also help students develop subject-specific vocabulary. Check http://www.english4professionals.co.uk/e4education/ for academic English. Study Support: These courses are designed to help students who are currently studying in the UK who have solid English language skills but require a few hours a week guidance to improve their study skills. Contact Neil on contact@hello-english.co.uk for study and research support. Business English: These courses are aimed at students who want to develop their English skills for a specific industry, such as business, economics, finance, tourism or law. They enable students to communicate effectively and operate professionally within these sectors by developing vocabulary, report writing and delivering presentations. See http://www.english4professionals.co.uk/e4business/ for more details of business-focused courses. English Exam Preparation Courses: These can be residential or non-residential. They can be short, high-intensity ‘cramming’ courses or longer with only one or two hours per week. Either way, they will help you to prepare for IELTS, A-levels resist, IGCSE, Cambridge First, Advanced or Proficiency exams.